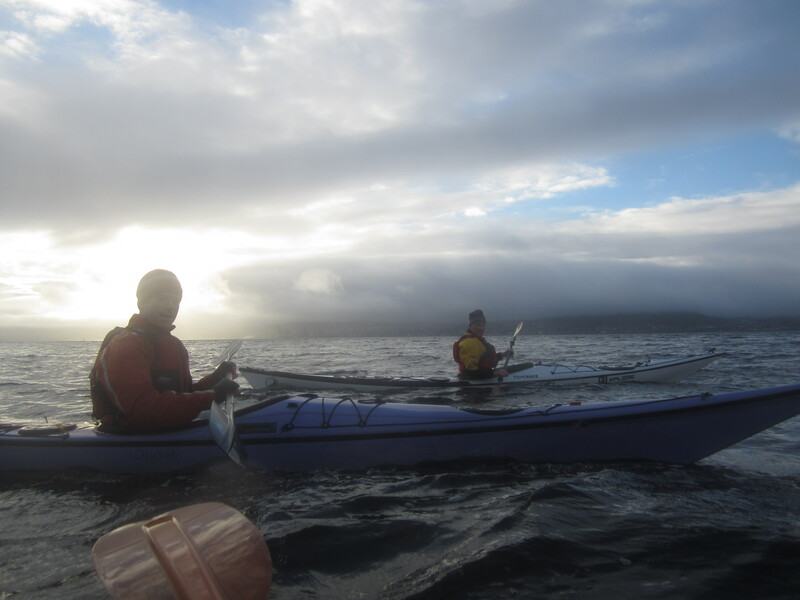 With a calm wind forecast this was intended to be a practice trip to gain experience. As it turned out this proved to be an experience for all the participants with some valuable lessons learnt without any real problems. Despite the forecast the wind was actually F3/4 and the sea was quite lumpy, possibly partly the result of a high wind the previous night. After a short uncomfortable time on the water, Allan decided to go back to shore. 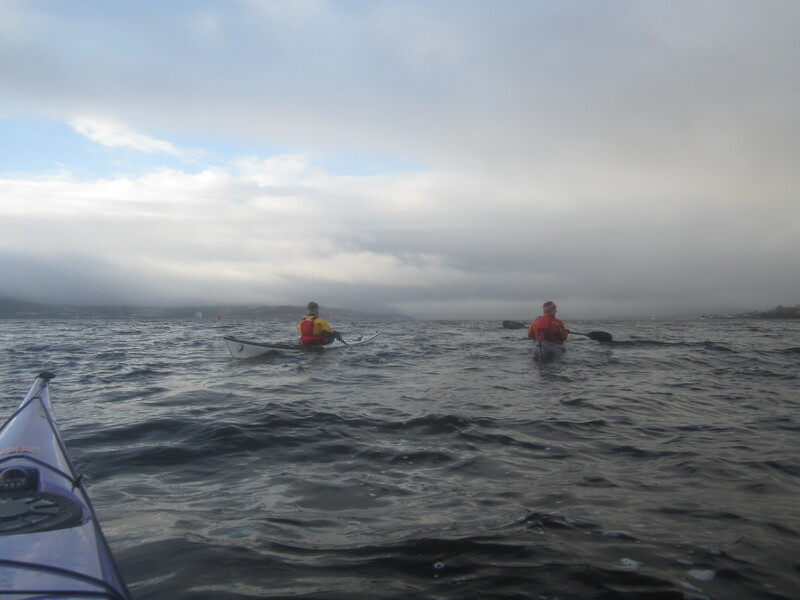 For the remaining three the paddle round to Kilcreggan was problem free, the weather improved slightly and overall it was a pleasant morning. After coffee and cake at Kilcreggan we decided to cross to Gourock for lunch but 100m out we hit the main channel and a brisk wind. Given the tide had just changed and we were going to experience an increase in the sea state due to “wind against tide” this was quickly revised to a paddle back close to shore. Running downwind is not comfortable for the less experienced and after about half a mile we experienced our first capsize. This was quickly dealt with by righting the boat, popping in the paddler and pumping out. It was then decided that the best action was to paddle swiftly on in order to warm up. Lesson 1: After a capsize check the boat as well as the paddler and if necessary get to shore to empty the boat completely. We believe a hatch cover was not on properly and during the capsize a quantity of water had got into the forward compartment. Coupled with the inevitable quantity in the cockpit left after the pump out, this caused increasing instability and led to a second capsize. The method used for the second capsize was a Scoop i.e floating the paddler into the boat, righting it and pumping out. Lesson 2. 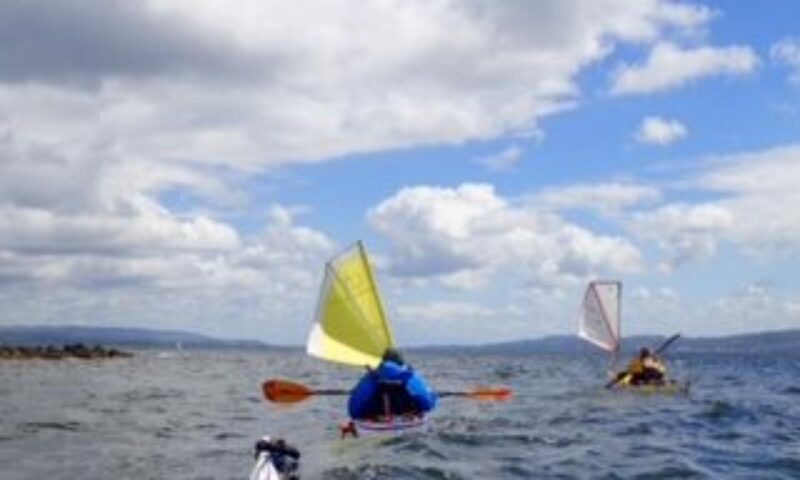 The scoop should only be used in the unlikely event that a casualty is injured or unconscious because the capsized paddler is in the water longer and the boat can get waterlogged. With water entering the front compartment this is what happened and the only solution was a swim to shore towing the capsized boat. Inevitably the paddler, without a wet or dry suit, got chilled. After a change into dry clothes (standard requirement) and some jogging about, the escape route identified in the risk assessment was implemented. This involved a phone call to get transport (in this case Allan was thankfully available) and a short paddle back into the wind (much more stable) to a beach just east of Kilcreggan with easy access for a car. By 3pm we were back in Helensburgh reminiscing on an eventful day.